Every bike rider is somebody. Cycle safety campaign concept design. TravelSmart Sunshine Coast is an integrated travel behaviour change program which raises awareness and encourages the use of alternative modes of travel to school, workplaces, and key destinations as well as throughout the general community. 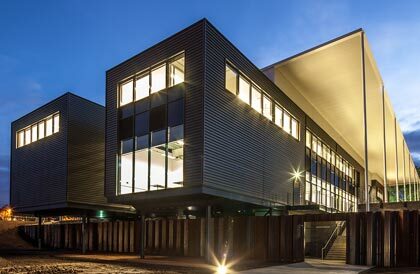 The program promotes walking, cycling, public transport, scooters, school bus travel and carpooling. 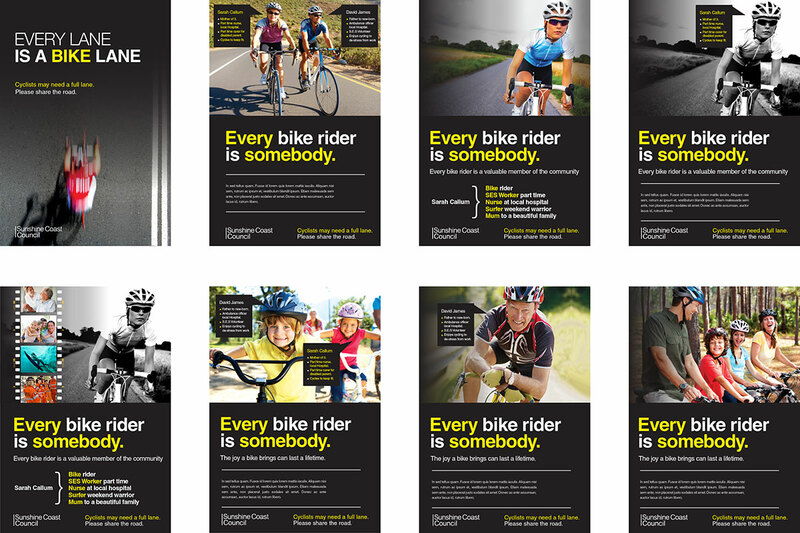 IC Creative Design were approached to develop a range of concept, cycle awareness / cycle safety posters for the Sunshine Coast Council. The suite of posters needed to instill the key message that, underneath the helmet, cyclists are still ‘real people’. The posters were branded with the same colour scheme and fonts, in order to maintain consistency and instant recognition, the adverts would be rolled out monthly, one following the next. The end goal was to humanise cyclists through each of the posters. We gave each of the cyclists a life and background story, to help engage the audience and ensure the key messages be absorbed.